Heat olive oil in a large, heavy bottomed soup pan on medium heat. Add carrots, squash, and veggie stock. Bring to a gentle boil then lower to a simmer. Stir occasionally for about 30 minutes. 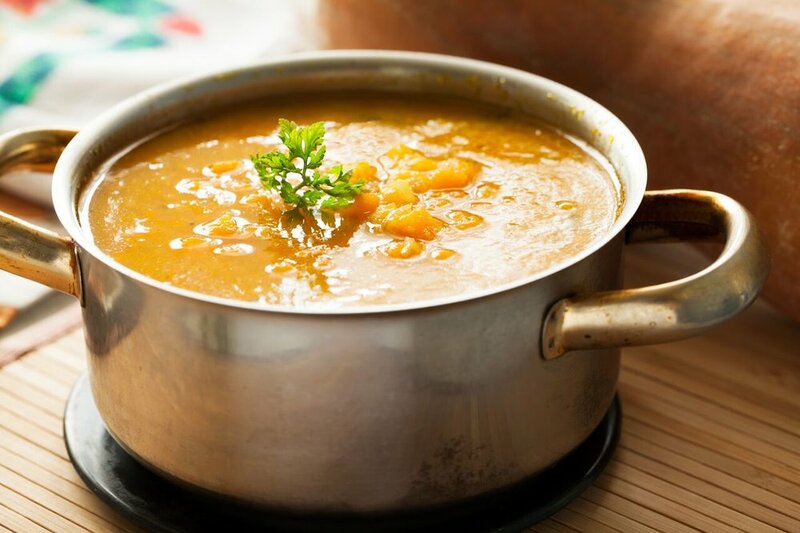 Add cooked soup carefully in portions to a high speed blender and blend until smooth. Add a little water or broth if needed.